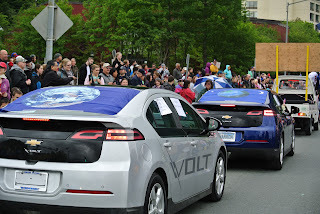 Juneau's Electric Vehicles in the Fourth of July Parade! Thank you to AEL&P, Juneau Hydropower, City and Borough of Juneau, and all who walked, drove and rode in electric vehicles to support the Juneau Commission on Sustainability's participation in this years Fourth of July Parade! 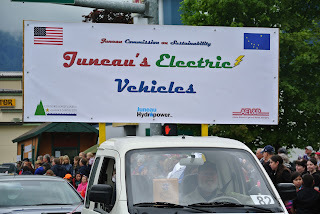 Check out this June 10, 2012Juneau Empire article for more info on Juneau's electric vehicles. Wondering what to do with all those old burned-out Christmas light bulbs? Look no further! A Christmas light company based in Texas started a lightbulb recycling program. Instead of sending the old copper, glass, and plastic to the landfill, Christmas Light Source sells them to a Texas recycling program. All the proceeds will be used for purchasing Usborne books and donating them to the Marine Tots for Toys Foundation. Join us for a public information and participation session. Wednesday Oct. 5th from 5:30 - 7:30 at the Mendenhall Valley Library. 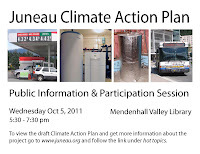 To view the draft Climate Action Plan and get more information about the project go to www.juneau.org and follow the link under hot topics. The 2011 Juneau Local Food Festival will be held August 27 from 9am to 2pm at the Juneau Arts and Culture Center. We are looking for vendors wishing to sell locally grown produce, fruits, berries, flowers, eggs; fresh baked goods containing local ingredients; local seafood; homemade jams, jellies, honey, herb vinegar or syrup; locally produced artisan foods; indigenous plant products; composting supplies; and items related to food growing, gathering, preparing or serving. Table fees are $30 for an indoor table and $15 for an outdoor table. Registration forms are available at http://jedc.org/foodfestival.php. Be sure to read the Frequently Asked Questions before you register. As we've done in the past, we will have workshops during the event and an “Ask the Expert” gardening corner. If you have any suggestions for speakers, or would like to give a presentation this year, please let us know. We look forward to seeing you at a great 2011 Festival! Locally harvested. Locally produced. Locally created. Come visit the Juneau Sunday Market every Sunday from noon 'til 3pm at the JACC. There will be a public information and participation session for the CBJ's Climate Action Plan May 25th. 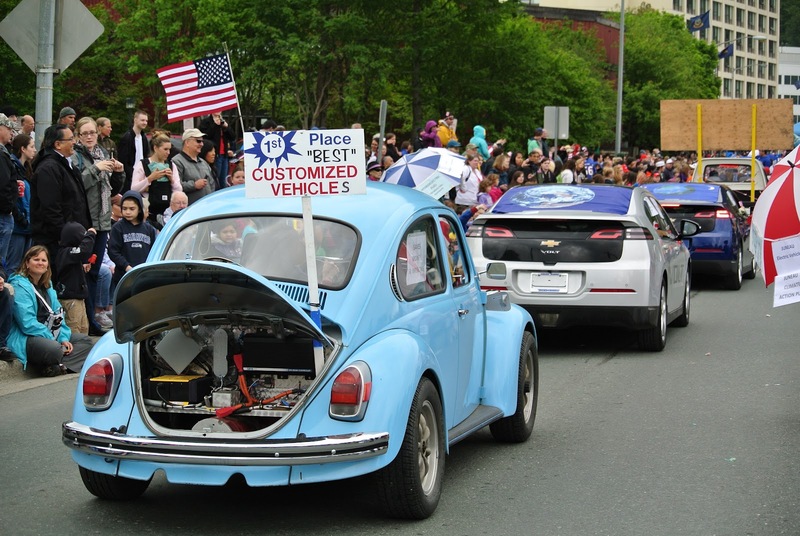 The plan focuses on reducing greenhouse gas emissions from the local government's operations and from the community as a whole. We hope you'll join us Wednesday, May 25th from 5:00-7:00 at the Assembly Chambers. 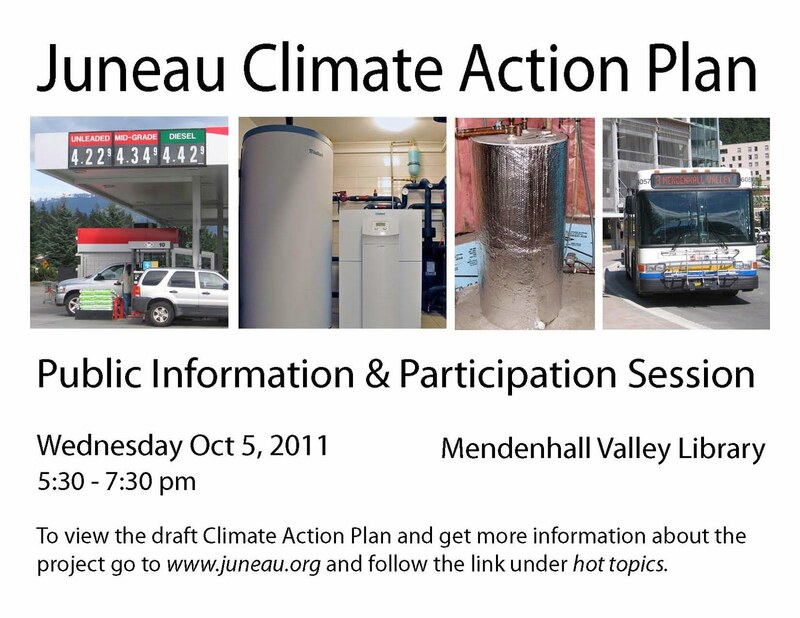 At this meeting, the 2010 Juneau Emissions Inventory and the Draft Climate Action Plan will be presented. The next meeting of the full Commission is Wed. March 7, 2012 from 5:30-7:00 pm at the Downtown Library conference room. SEND US AN EMAIL AT sustainablejuneau@gmail.com TO HAVE YOUR NEIGHBORHOOD ASSOCIATION WEBSITE POSTED HERE! 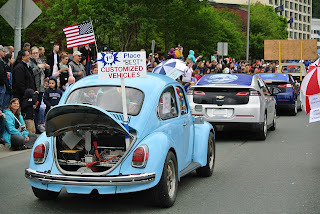 Saving Electricity in a Hurry! How energy-efficient is that television? Do you have comments and ideas for making this site better? Is there a link or announcement you would like to see posted?